Wood grain material is offered in your choice of color with choice of interior panel material and color. 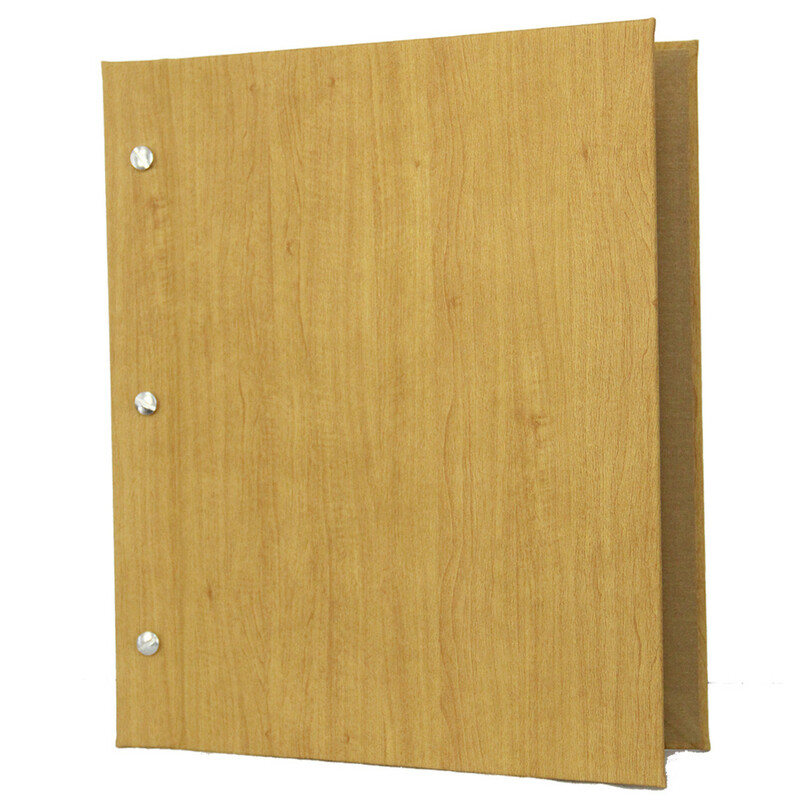 Two piece menu covers includes three sets of aluminum screws and posts. Optional black screws and posts are available for an upcharge. This product may be customized with your artwork or logo. First time orders require custom artwork setup charge.